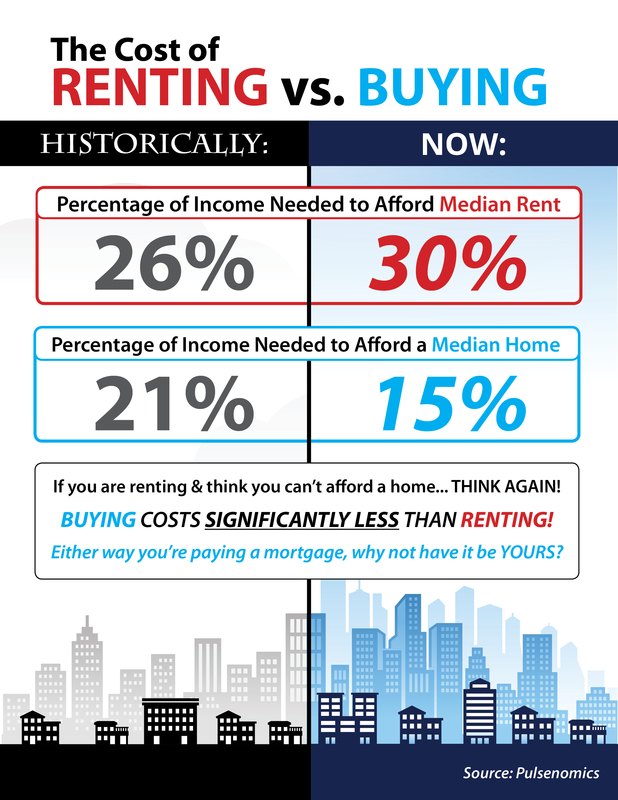 Historically, the choice between renting or buying a home has been a close decision. Looking at the percentage of income needed to rent a median-priced home today (30%), vs. the percentage needed to buy a median-priced home (15%), the choice becomes obvious. Every market is different. Before you renew your lease again, find out if you could use your housing costs to own a home of your own!